The family of Mary Catherine Wade (nee Seiferling) is sad to announce her passing on November 30th, 2018, at the age of 90. 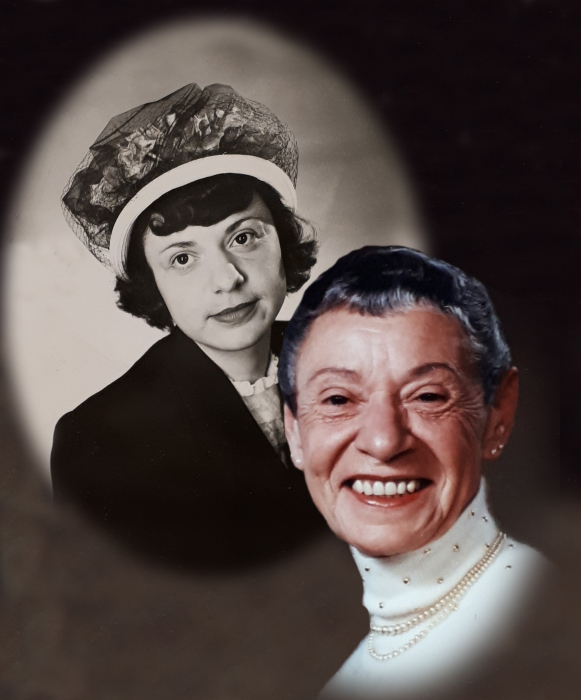 Mary was born in Sedley, Saskatchewan, and lived her entire adult life in Regina, with the exception of her last year of life which was in Calgary. She was predeceased by her husband Ken; her son, Darrell; her father and mother, Paul and Anna; her brothers, Father Fred, Andrew (Minnie), Mike (Elroise), Father Michael, Father Canisius, Peter (Edith), Cheffey (Eloise), and Edward; and sisters, Sister Louisa, Clara (Paul), Ann (Bill), Felicia (Ambrose), Pauline, and Caroline. Mary is survived by her sister, Sister Herman. She is also survived by her sons, Rod (Betty), and Sean (Pam); her daughter, Denise (Bob); her daughter-in-law, Gloria; her sister-in-law, Kathryn; her grandchildren, Keegan (Miyako), Devin (Melissa), Sasha (Pheroze), Mariah, Ingrid (Mike), Rhea, Meghan, Benjamin (Comena), Brietta (Franz), Sarah and Adam; and eight great-grandchildren. Mary spent most of her life in the physical shadow of her much larger husband, Ken, until his passing in 2005. Ken, however, spent most of his life in the talkative shadow of his diminutive wife, Mary. Her diminutive size was about the only diminutive aspect about her. She was a monster worker, full of energy, and reluctant to stop until the job was done. The “job” often involved beautification of the yard (at home or at the lake), or the interior of said abodes. Indeed, she was pushing furniture in her suite in Calgary virtually until she moved to the hospice, where she threatened to move furniture about there as well once she regained her energy. Which sadly, she never did. But she had more than physical strength and abundant energy. She had a resoluteness of character as well, most poignantly displayed when after decades of smoking, she quit. She went cold turkey. While she threw all her cigarettes away, she defiantly kept one unopened pack, staring it down every time she had an urge to smoke, not allowing it to get the better of her. The family has that package of cigarettes as a memento of Mary's character. While she gave up smoking late in life, she never gave up a smokin’ keen interest in sports, especially in the Roughriders, Blue Jays and curling. A fulsome, self-deprecating sense of humour; rollicking conversations with everyone (and with herself! ); expressions of gratitude and love to all through to the end… such will be the indelible memories of Mary.